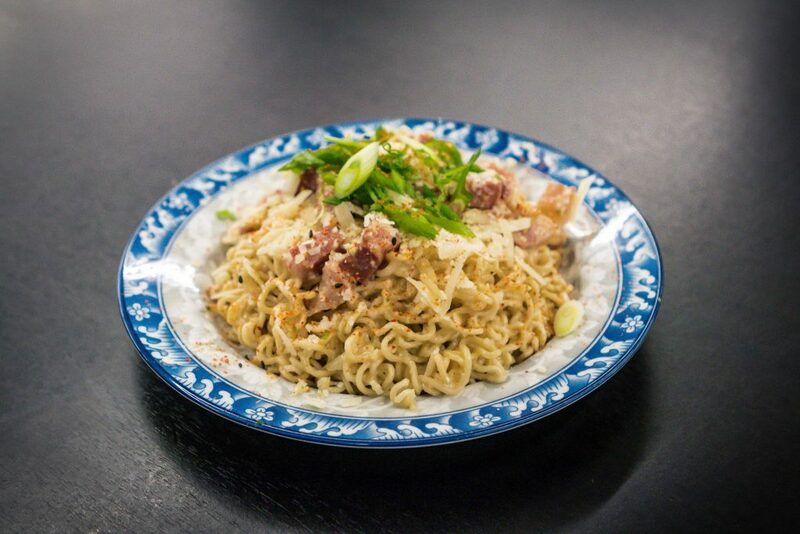 Influenced by Jackson’s ramen restaurant, Slurp Ramen, this recipe incorporates the fresh and high quality produce found at his fingertips at the Hamilton Farmers Market. While Slurp Ramen’s kitchen is steps away from some of the city’s best local produce, cheese and meat vendors, you too can be inspired by the ingredients and flavours of the downtown market. 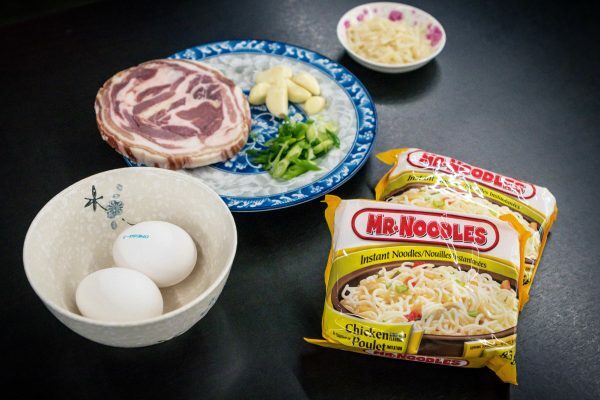 This recipe takes your instant ramen noodles to the next level by using parmesan cheese and pancetta from Sam’s Meat and Cheese and some fresh eggs. 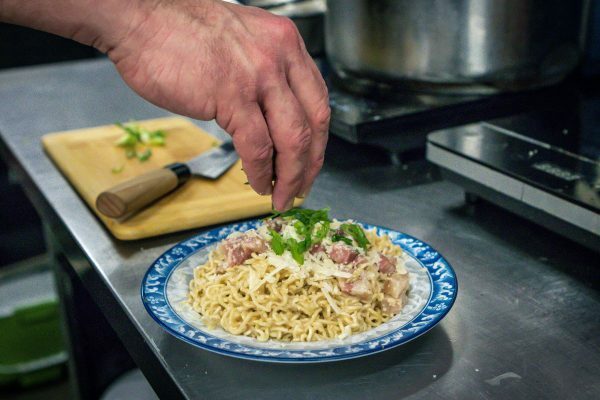 The instant ramen carbonara dish is student-friendly, serves two to three people and incorporates some Western influences for a quick, simple and delicious meal. Jackson has over 20 years of experience in the restaurant industry, spending just under half of that time traveling the world learning and experiencing cuisines from different continents. He spent a year in Asia, two years in London, England running a French restaurant and another year running a restaurant in Australia. He was part of the management team at The McEwan Group before opening up Slurp Ramen, a restaurant where he can express his love for local produce, community and ramen. Cook the ramen noodles according to the packet instructions. In a bowl, whisk the eggs with the parmesan using a fork. Season with salt and pepper and put it to the side. Cut the hard skin off the pancetta and set it aside. Chop the meat into small cubes. 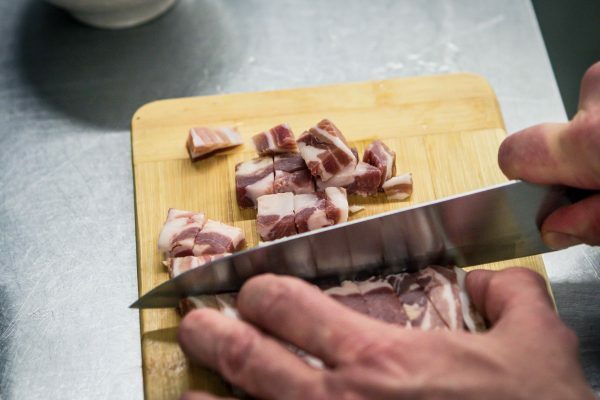 Rub the pancetta skin (if you have any) all over the base of a medium frying pan for added flavor or use one tablespoon of oil before placing pan over medium-high heat. Add garlic to pan and leave it to flavor the fat for one minute before stirring in the pancetta. Cook the pancetta for four minutes or until it starts to crisp up. Reserving some of the cooking water, drain and add the ramen noodles to the pan. Toss well over the heat so it that it really soaks up all that lovely flavor before removing the pan from the heat. Add a splash of the cooking water, toss well and season with salt and pepper. Pour in the egg mixture, the pan will help cook the egg gently, rather than scrambling it. Toss well, adding more cooking water until it’s a glossy texture. Serve with a grating of parmesan and an extra twist of pepper to taste. Finish with topped chopped spring onion. Razan Samara is in her third year of life science studies (probably for life). You can find her hitting the books and working at the hospital to complete her mental health minor, but most of the time she’s in the Sil’s dungeon office managing the Arts & Culture section as editor. 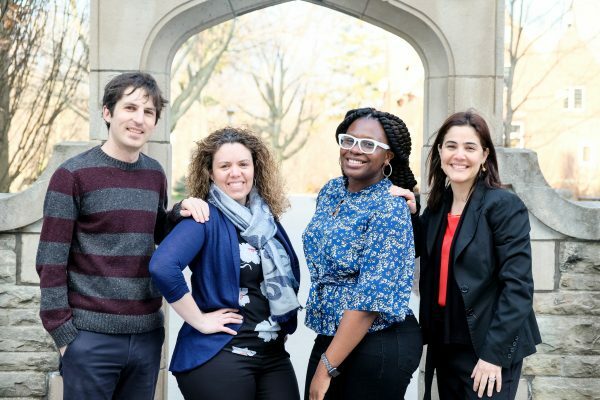 She’s fond of Hamilton’s many galleries, enjoys meaningful talks with chefs at the Farmer’s Market and uses writing to connect with the world around her.